Does testmy.net have software that I can install internally to test my internal network? Sorry I don't have any LAN tests available. I highly recommend using iPerf (download iPerf) to test internally. Freeware and very accurate. Here's some instructions. 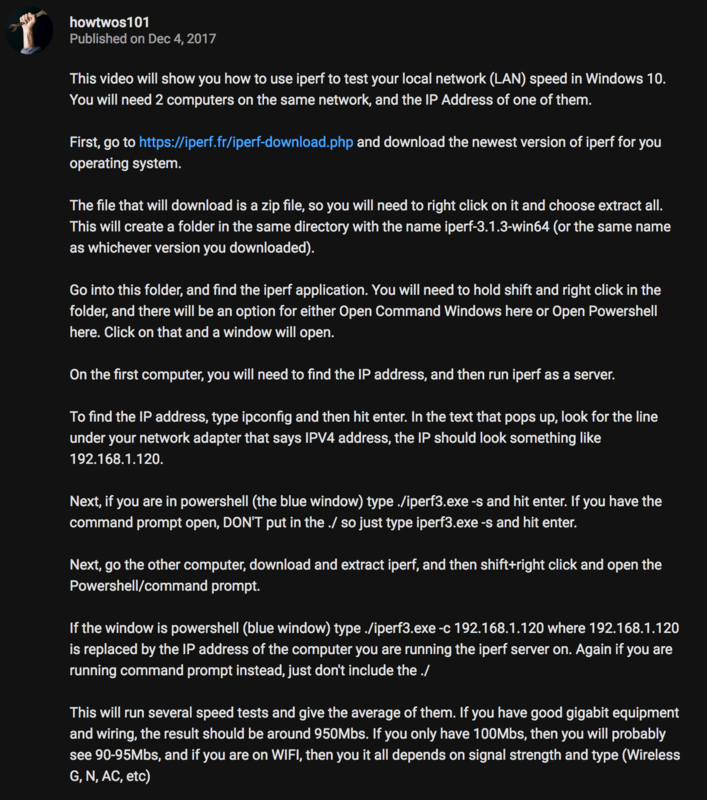 Check the video description for more details and copy and paste commands.